← Spring has sprung….. kinda sorta. Time to strip Holly! I’m sorry to say that the events of this past week have sucked some of the enthusiasm of this ride. None of the determination, mind you, but some of the enthusiasm. I will be riding with blue and yellow ribbons attached to my bike in memory of Boston. In terms of equipment, I was having a hard time deciding which mount to ride, so I left it to chance. If there was rain in the forecast I would have taken The Beast (since I can’t mount fenders on Holly). There’s no rain and if I’ll be riding in the dark it won’t be for long. So I don’t need a generator, and so I’ll take Holly out and take her through some of her paces. Unfortunately, tomorrow is supposed to start out below freezing, but end up around 50. This means I’ll be wearing a LOT of clothing at the start. It also means I may not want to be wearing them later. And finally, this means I need to have a place to stash all this clothing. 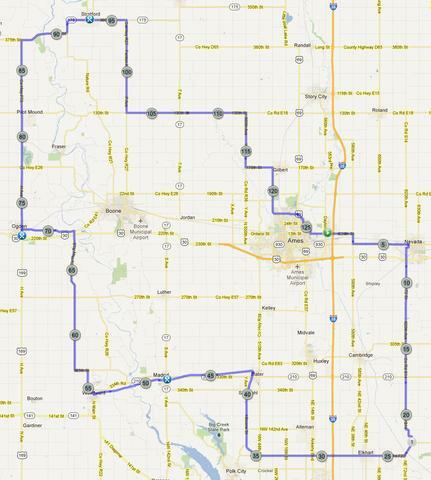 200 kilometers of goodness across the Iowa countryside. I’m taking Holly the Raleigh, a Revenio 4.0, with stock wheels and tires (Vittoria Rubino Pros). Catch you on the flip side. Boston, this one’s for you! good luck. I look forward to reading your ride report. I like a pump just b/c I’ve run out of CO2 before. My “boot kit” is pieces from a kevlar envelope. C’est gratis! Have an awesome ride!! I may see you out there!! 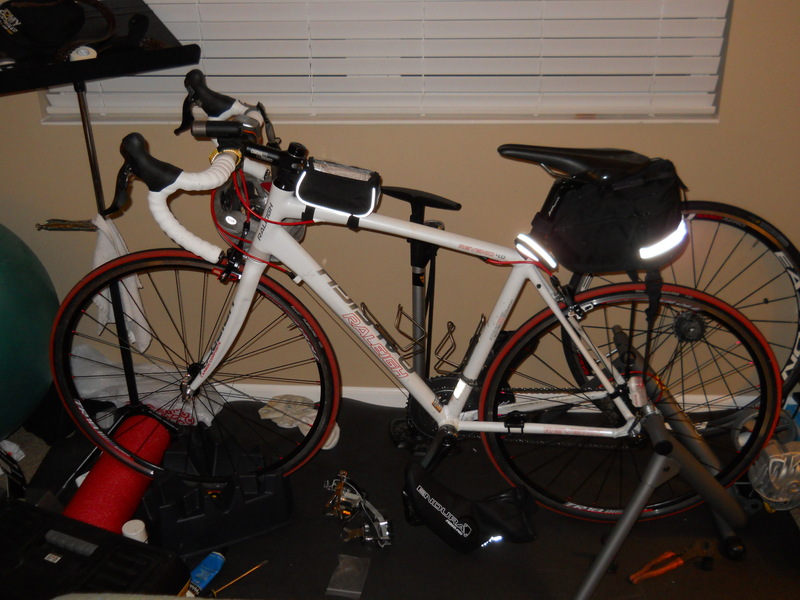 I usually bring a frame pump but I had to have room for so much other stuff (room I didn’t end up using) so I worried about the size of my favorite (but huge) frame pump. Tried to hedge my bets with 3 CO2 cartridges, ended up not needing any, thank goodness! Ride report coming!